For those of you in distant and parallel Universes, who haven't yet heard, Jodie Whittaker will be the next Time Lord. Dr. Who, a British science fiction television series, running since 1963, has had twelve male actors playing the lead protagonist. Ms. Whittaker will be the first woman in that role. 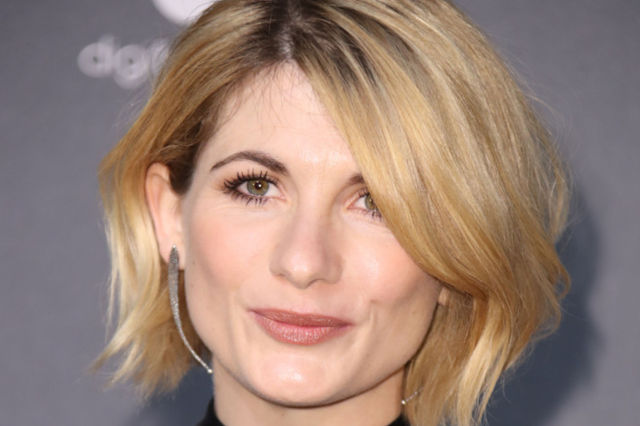 From a nonverbal perspective, what makes this image of Jodie Whittaker flirtatious? One is an Air of Mystery. This partial revealing of an eye makes us curious. We wonder. It makes us want to know what Jodie is thinking. Having one eye partially or fully covered is also a metaphor for A State of Partial Undress. And just as if her hair were clothing - it leaves us wanting. Covering an eye also is A Form of Play - a peekaboo analog from our childhood. It sends forth feelings of, "Come play with me". Ms. Whitttaker is displaying a Partially Suppressed Mouth Smile. It's not a sincere smile - for her eyes are not "smiling". Yet a partially suppressed mouth smile primes the emotional brains' of anyone seeing it, such that their feelings of joy-happiness-humor-fun are partially but immediately elevated. As human beings, we want to mirror these emotions - and thus a partially suppressed smile is a very effective and very rapid method of triggering rapport. Dr. Who's is also displaying a Forward Lip Purse - which signals a Clandestine Disagreement and/or a Clandestine Plan. This adds to her mystery. It amplifies our curiosity - which simultaneously magnifies sexual attraction. A partially suppressed mouth smile together with a forward lip purse combines to project an emotion of mischievousness - which further adds to attraction.